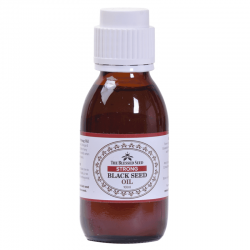 We speak at length about the many benefits of Nigella sativa aka black seed on our website. From its ability to combat cancer, through to its antidiabetic properties and the positive effects it can have on your liver, this truly is the blessed seed. But there’s one thing that many overlook when talking about the healing properties of black seeds. We refer to the volatile oils, the volume of which plays a huge role in the healing properties of the seed. 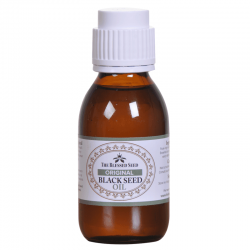 The average black seed oil contains between 0.3% and 1.5% of volatile oils. Our unique Strong Black Seed Oil has 4.8% volatile oil volume, which makes it the first of its kind on the market. Why is this so important? In this article, we’re going to examine some of the chemical compounds that this volatile oil contains, so you understand why higher volumes mean better health. As well as being an aromatic compound that plays a role in creating the overall flavor of black seed oil, Cymene offers a number of medical benefits. The most renowned of these are its analgesic properties, which means it’s capable of relieving pain. This has led to products containing cymene to become particularly popular among those who struggle with rheumatoid arthritis. However, several studies show that cymene has beneficial effects in other areas. One study discovered that cymene is also capable of combating some forms of bacteria, proving particularly effective against E.coli. This bacteria is at the root of many cases of food poisoning. 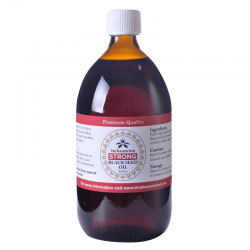 It also exhibits a low level of antifungal activity, and it’s proven to be particularly effective against a variety of the candida species of fungus. This is the fungus that causes thrush and other yeast infections in people. When used externally, pinene offers similar analgesic properties to cymene, though they are perhaps slightly less pronounced. However, there is also some evidence to suggest that the compound has antibacterial properties and that it can even combat some types of cancer cells. It also has anti-inflammatory properties that, when combined with its analgesic properties, helps it to provide pain relief to those with arthritic conditions. Finally, the compound also has expectorant properties, which means that it helps you to expel sputum when you have a cold or cough. This may be able to help you clear up the condition faster so you can start feeling like your old self again. Those are just three of the chemical compounds contained in the volatile oils of black seeds. In the second part of this series, we’ll discuss the remaining four compounds and the positive effects they have on the human body. If you’d like to benefit most from these volatile oil chemical compounds, we recommend our Strong Black Seed Oil. It contains the highest volume of volatile black seed oils of any product on the current market. 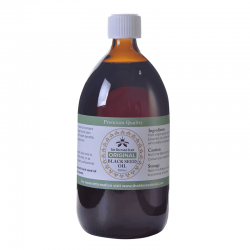 We produce the oil using the correct cold press method to retain the healing capabilities of this ancient herbal home remedy. Research has found that there is not another herb known to work with such a wide range of healing capabilities.